Posted on 11, April 2017 by EuropaWire PR Editors | This entry was posted in Management, Technology, Telecom, United Kingdom and tagged BT Group, contact centre advisers, EE, Marc Allera, mobile operator, recruitment drive. Bookmark the permalink. LONDON, 11-Apr-2017 — /EuropaWire/ — EE, the UK’s biggest mobile operator and part of BT Group, today announced a recruitment drive which will see it hire over 800 contact centre advisers for its sites across the UK. These advisers will fill positions in North Tyneside, Merthyr Tydfil, Darlington, Greenock, Plymouth and Doxford. Of the 800 recruits over 100 will be apprentices hired as a part of the EE apprenticeship programme. This latest recruitment drive follows EE recently becoming the first UK mobile operator to bring back all customer service calls to the UK and Ireland, creating over 1,000 new jobs in 2016 alone. 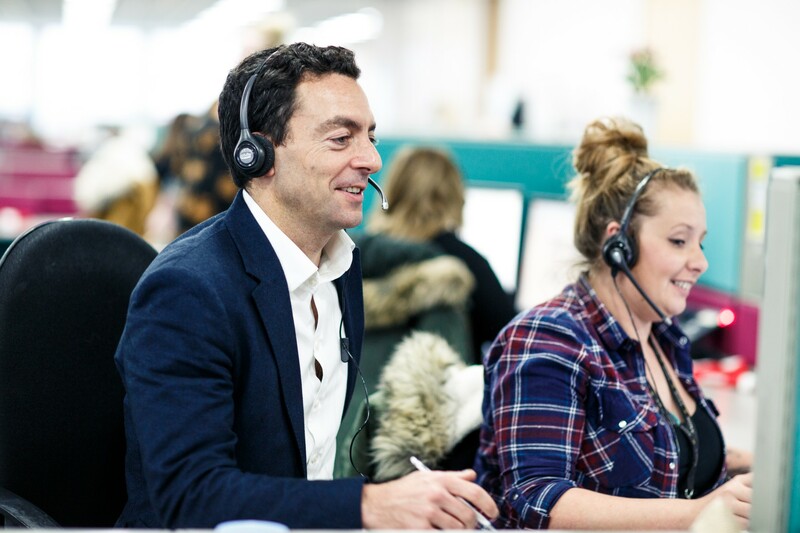 The roles announced today will join a team that has already helped EE to provide even better customer service, with positive customer feedback soaring and complaints falling well below the industry average. The positions will give successful applicants the opportunity to benefit from EE’s comprehensive training programme which will allow them to develop new skills while paving the way to opportunities to develop and progress within the business. EE also ranked third in The Sunday Times’ Best Companies to Work For survey, thanks to high scores for management and team work, and was also ranked in the top five in the annual School & College Leavers 2016-17 Awards. Over 100 of the roles will be offered as part of EE’s apprenticeship programme, giving people the opportunity to learn new skills, gain nationally recognised qualifications and build a long term career with EE. The company has recruited over 1,300 apprentices since it launched the programme in 2012. EE runs the UK’s biggest and fastest mobile network, having pioneered the UK’s first superfast 4G mobile service in October 2012, and was the first European operator to surpass 14 million 4G customers in December 2015. EE has more than 550 shops across the UK. EE’s 4G coverage today reaches three quarters of the UK’s landmass. EE plans to extend 4G to 95% geographic coverage by 2020. EE has received extensive independent recognition, including being ranked the UK’s best overall network by RootMetrics®; Best Network at the 2014 and 2015 Mobile News Awards; Best Network at the Mobile Choice Consumer Awards 2016; Best Consumer Network at the 2015 & 2016 Mobile Industry Awards; Best Network and Best Customer Support at the What Mobile Awards 2016; as well as Fastest Network at the 2014 and 2016 uSwitch Mobile Awards.